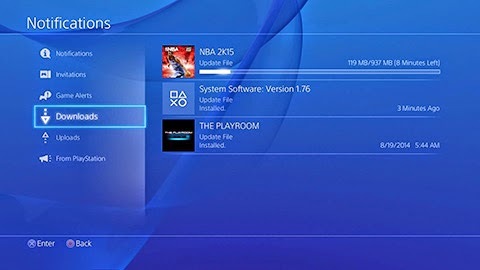 2K Sports is aware of a potential issue with the PlayStation 4 version of NBA 2K15: Upon inserting the disc for the first time, players will be prompted to start a download but may be unable to see a progress bar after that point. If this happens to you, don’t worry: The download should be going, even if you can’t see any visible progress. Likewise, if you are only able to play in the Spurs/Heat match after inserting the disc, it’s because the download is going on in the background and you can’t access the full game yet.